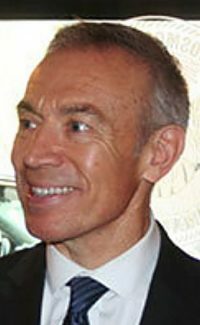 Agriculture Deputy Secretary Steve Censky on Monday confirmed that the Agriculture Department is considering using its powers under the Commodity Credit Corporation to provide aid to farmers who may be hurt by President Donald Trump's challenges to China on trade. 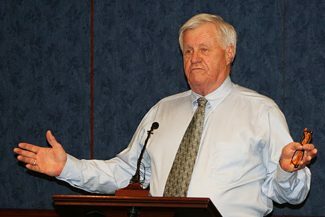 On Tuesday, Senate Agriculture Committee Chairman Pat Roberts, R-Kan., and House Agriculture Committee ranking member Collin Peterson, D-Minn., said they were unenthusiastic about the use of USDA authorities to aid the farmers, while Senate Agriculture Committee ranking member Debbie Stabenow, D-Mich., said it should be considered. Censky told the North American Agricultural Journalists on Monday that "we are going to work to take care of our farmers to make sure that they do not bear the brunt of trade retaliation." Censky said there is no timetable and that USDA officials want to be sure they are in compliance with World Trade Organization rules. 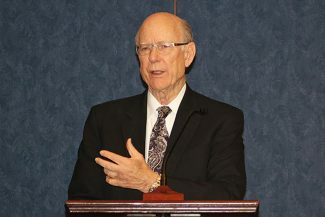 But on Tuesday, Roberts told the agricultural journalists, "We don't need another subsidy program. We need to sell our product. We need a major sale." The proposal from USDA is "amorphous," Roberts said, noting that the Chinese have imposed or threatened to impose tariffs on a number of farm products. Peterson said he is "against a one-time bailout of a situation that was created by the administration. "I can tell you … that this is not what farmers want — they want their markets that they have been building up left intact," he continued. Peterson noted that in addition to the CCC authorities, Agriculture Secretary Sonny Perdue can use Section 32, a permanent appropriation that since 1935 has set aside the equivalent of 30 percent of annual customs receipts to support the farm sector through the purchase of surplus commodities. But Peterson pointed out that the Chinese have either imposed or threatened to impose tariffs on more than 100 crops, which would mean writing checks to an enormous number of farmers. The Chinese have already imposed tariffs on pork, wine and cranberries, he noted, while the tariffs on soybeans have only been threatened. There hasn't been a lot of "talk" about Brazil or Argentina "taking our markets," but there is no reason China can't buy Brazilian soybeans, he said. But when the agricultural journalists asked Stabenow, her views reflected the fact that she represents a state that has both manufacturing and agricultural interests. Trump has proposed tariffs on Chinese goods on the grounds that the Chinese have been forcing American companies to share intellectual property with them, and Stabenow said it is important to address that issue. But she also said that there should be a "strategic approach" to getting the Chinese to address it. 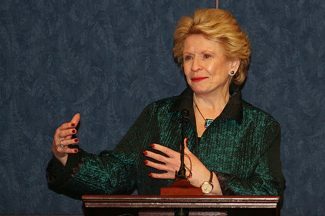 Stabenow said that aid from the CCC "might be something to look" at if soybean farmers need it. "The bigger issue is: How do we make sure we have fair trade?" Stabenow said.